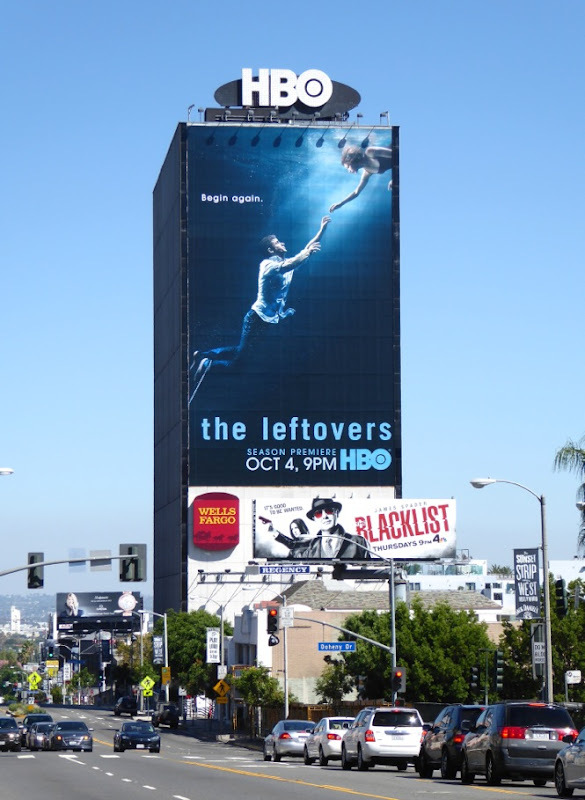 Interestingly The Leftovers has chosen the tagline 'Begin again' for its sophomore season and Daily Billboard wonders how many viewers will return for the second round of episodes for HBO's post-rapture series after an often depressing and dreary first season (with only the occasional moment of brilliance). 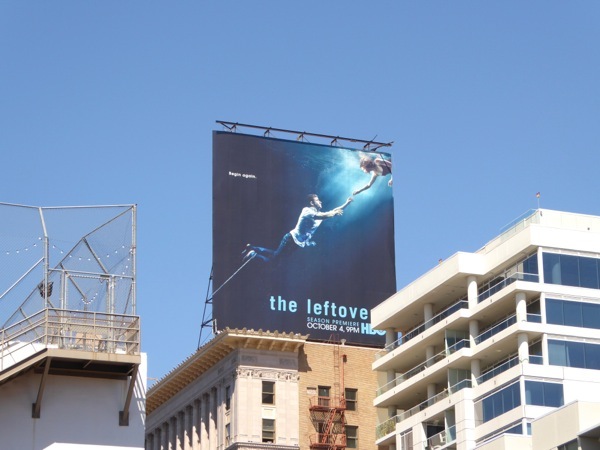 A chained and drowning Justin Theroux makes for a compelling visual, but is it also a metaphor for the show as a whole, can it be rescued? 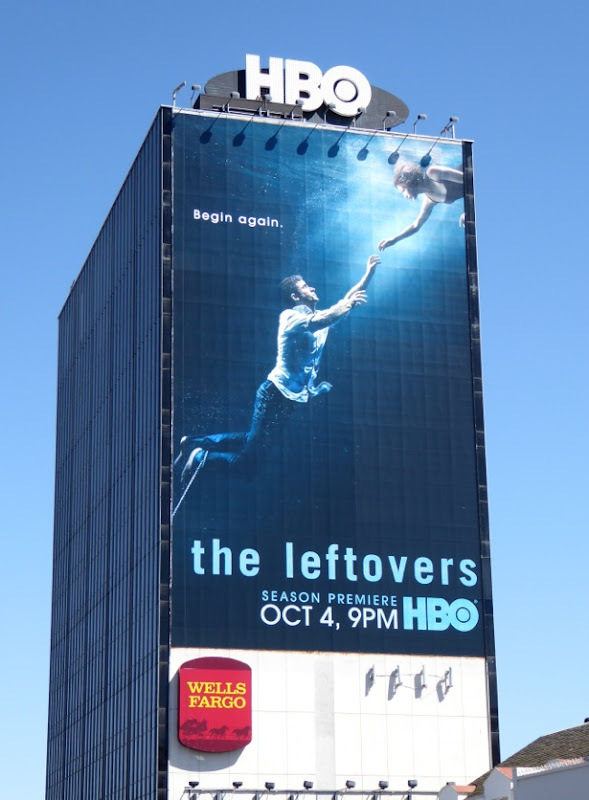 The inaugural season of The Leftovers was based on Tom Perrotta's 2011 novel of the same name, but this season will transport the 'Garveys' from suburban New York to a small Texas town named 'Miracle', that seemingly had no disappearances during the global 'departure' phenomenon. 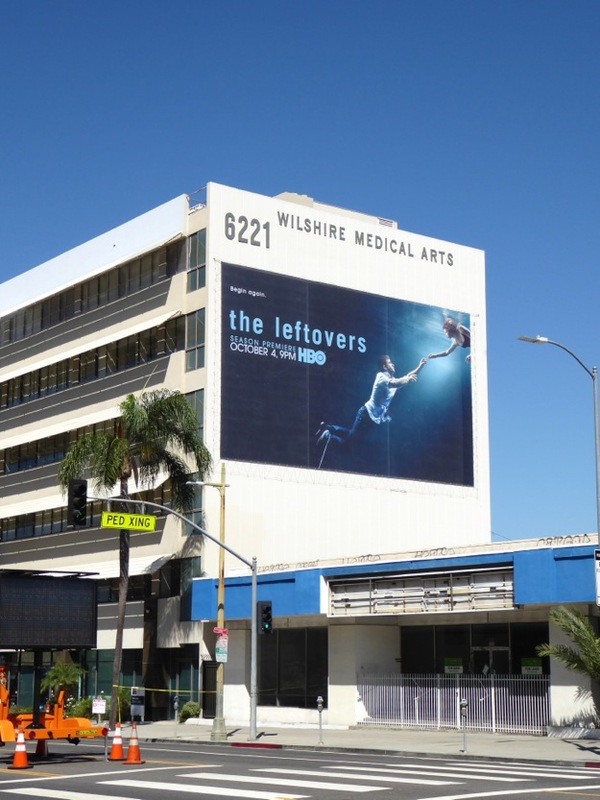 Hopefully a new locale and new characters will help lift the bleakness and provide some answers to the show's many secrets. 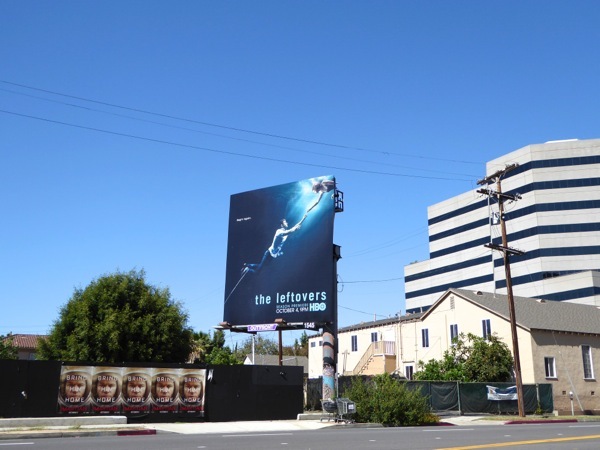 The standard landscape billboard for The Leftovers second season was first spied along Sunset Boulevard on September 17, followed later high above Vine Street in Hollywood and along Olympic Boulevard in West L.A. 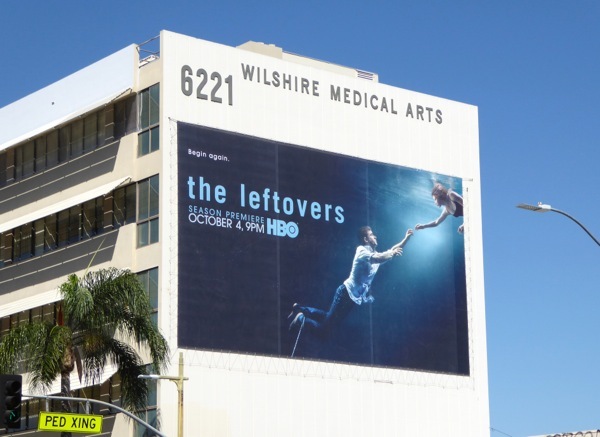 Meanwhile the arresting giant-sized billboards were snapped towering over the Sunset Strip and Wilshire Boulevard on September 19, 2015. 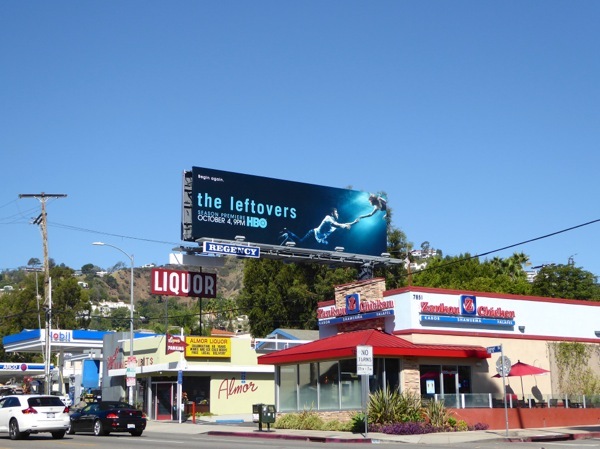 If you're a fan of the HBO show, be sure to also check out these season one billboards for The Leftovers from last year. 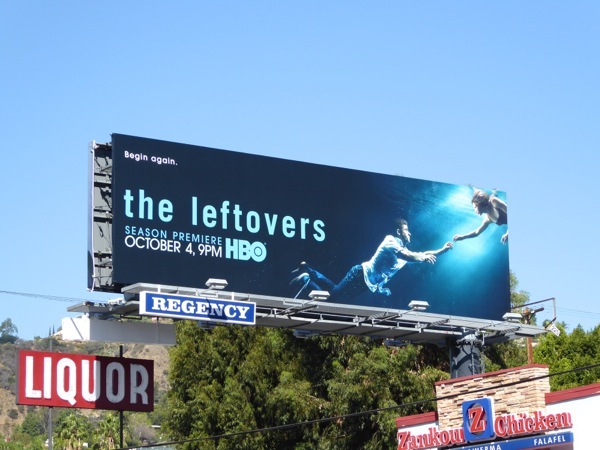 Will this be the second coming of The Leftovers, or will audiences crucify the show before it gets the chance to illuminate us about all of its mysteries. 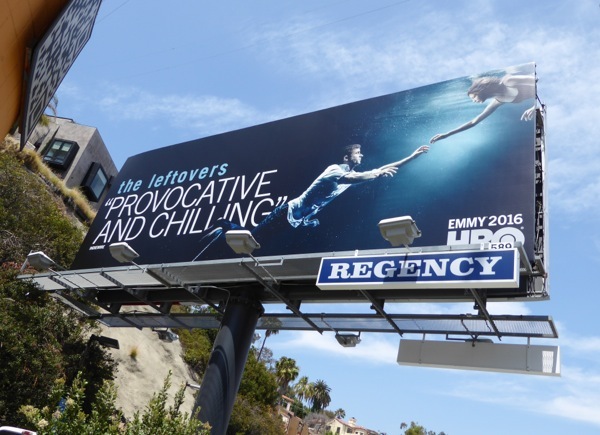 UPDATED: Here's also an Emmy consideration billboard for the sophomore 'provocative and chilling' season, spied along the Sunset Strip on June 6, 2016.